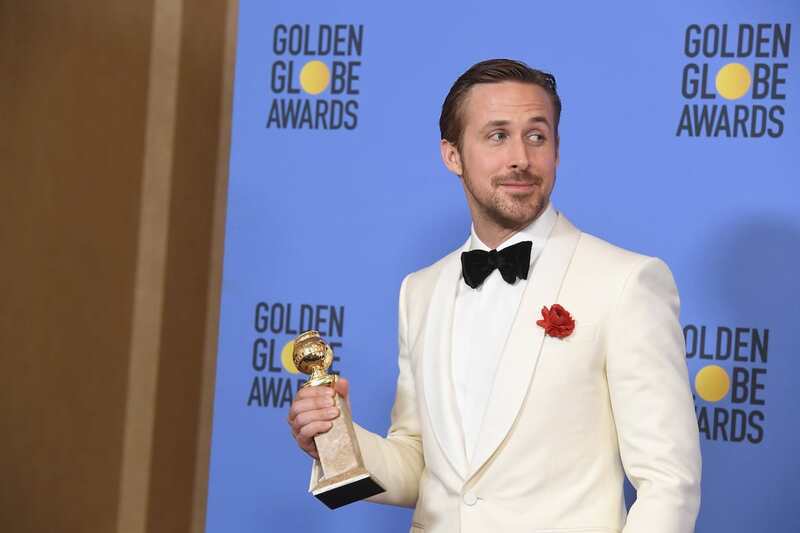 Ryan Gosling may be on top of the world at the moment with his latest film La La Land a bona fide critical hit and top Oscar contender but there’s one video he doesn’t want you to watch. Yes before he was Hollywood heartthrob Ryan Gosling he was just a young boy with a dream. A dream to dance in silver parachute pants along with his dance troupe. Unfortunately for Ryan the BBC archive archaeologists are nothing if not persistent and have tracked down the hilarious video for the Graham Norton Show to the delight of everyone. Graham Norton unveiled the video with fiendish glee surprising his guests Emma Stone, Ben Affleck and Sienna Miller while embarrassing poor Mr Gosling as he watched his younger self strut his funky stuff in purple and silver pants. I wish I could say someone said, ‘You have to wear this’, but that was my idea. That was my idea! I thought, ‘I have a vision for this number’. It’s purple and silver Hammer pants! Interestingly Ryan isn’t the only one with an embarrassing dancing story though. His La, La, Land co-star Emma Stone managed to make a fool of herself while she was practising her dance moves. Ryan was supposed to lift Emma above his head Dirty Dancing style when she panicked, clawing at Ryan ‘like a possum that fell out of a tree’.